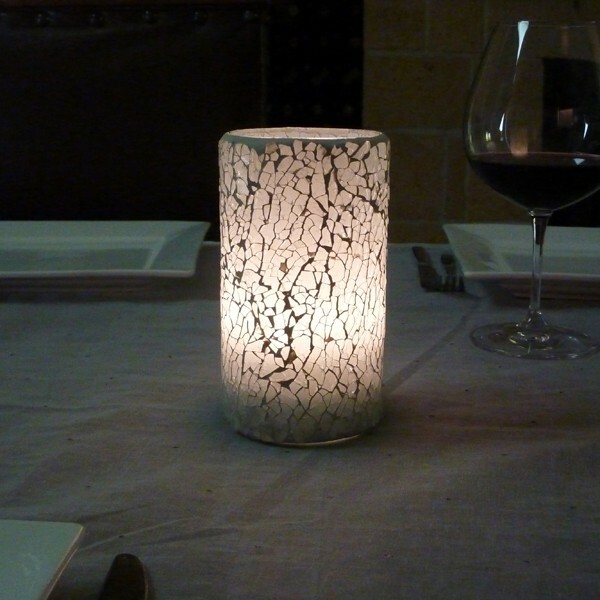 An exquisitely crafted glass cylinder candle lamp, perfect for table-top lighting. Looks brighter with our HD36 Low Profile fuel cell and even more so with our hd36 'High Light' cell, which gives 3 times the light of a standard cell. Available in 6 colours. Choose your colour variant below for a closer look. Looks brighter with our HD36 Low Profile fuel cell and even more so with our hd36 'High Light' cell which gives 3 time the light of a standard cell. "Clear Ice" is a sparkling crystalline lamp of polished clear glass, ideal for showing off a beautiful real flame. Can also be paired with coloured LEDs for a surprising and modern look. "Honey Gold Amber" is a delicate pale amber shade, easily mistaken for a gold coloured lamp. It is at its very best with the warm flame from Liquid Paraffin, exuding a cosy and warm glow when lit. "White Ice", in frosted white glass, gives a cool modern feel while creating a softer picture on table tops. "Wild Fire" will brighten any corner or table with its Ruby and Emerald Green colours. Great for Classic Italian or Mexican styling, but also has a Christmas feel about it. "Wine Red" is a deep and rich read, perfectly suited for Liquid Paraffin candles. Or, pair with red LED candles for a dramatic solid red. "Dark Amber" is a richly-coloured amber shade which creates a delightful warmth with the real flame of a liquid candle. "Night Blue" is a vividly coloured deep blue, mysterious and interesting. It stands out in the crowd, and is great for sea side restaurants or at home by the pool.